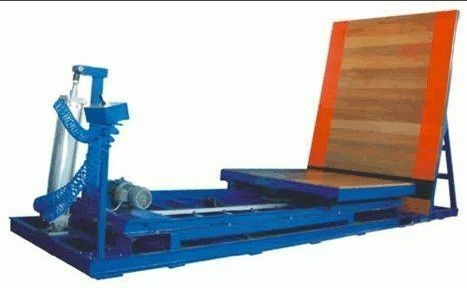 Change the traditional model, makes the system more advanced; A more reasonable; And hold more, measuring system is advanced in designing, live high; Main components such as: cylinder plunger, change face, electric drawing schedule, so as to make the product in a certain degree of surface and stroke, impact block board product to assess the damage. Flexible settle electric car, is advantageous for the simple fixed quantity, the speed of implementation requires changes in value. The height of the car is lower, is advantageous to the installation and debugging. Can adjust the levels will block mesa, easy to install specimens. When installation, the customer will be fixed on the ground of machine without other complex operations to install, easy to test. 5. Angle adjustment with cylinder to drive, easy to test.